Arewa Youths on Thursday called on the Acting President of Nigeria to order the arrest and detention of the leader of the Biafran struggle, Mazi Nnamdi Kanu. They based their call for the rearrest of the Biafran leader on the flouting of the stringent bail conditions given to him by Justice Binta Nyako, a federal high court judge of the state. 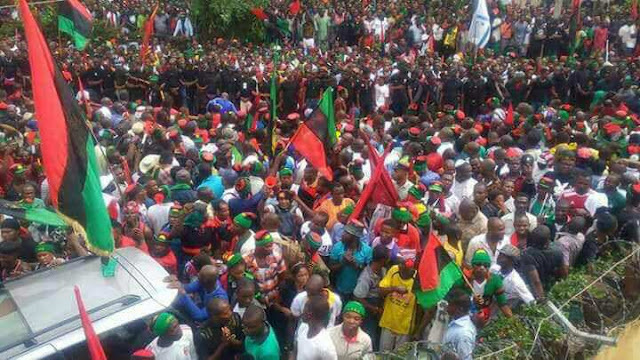 Prior to the time of this call for the re-arrest of Nnamdi Kanu was an ultimatum from the same Youths given to the Igbos living in their territories, which was premised on the successful shutdown of the south-south and south eastern parts of Nigeria on 30th May this year, which was the day Biafrans celebrated their Heroes past with a Sit-at-Home Excercise as ordered by Nnamdi Kanu. 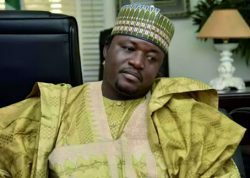 Now, Arewa Youth being moved with greater frustration, as they seem to be helplessly watching with their two naked eyes in a broad daylight while their long-aged pipes of oil are running to a close, have come out boldly to assume the position of law-abiding citizens of the failed and almost disintegrated the Republic of Nigeria. They mustered some temerity to call for the rearrest of Nnamdi Kanu in the face of the impending national uncertainty they have caused by threatening to evict the Igbos from the North after 1st October 2017 and lay claims on their properties and assets. “The Leadership of Arewa Youth Assembly has observed with keen interest the high level of lawlessness exhibited by Nnamdi Kanu since he was granted bail in June this year and the conspiracy of silence displayed by the federal government and its security agencies in the face of such affront by the IPOB leader. No doubt, this lawlessness is capable of disintegrating this country." First, I want to say that this statement was borne out of frustration probably because their initial plan that prompted the ultimatum failed. Maybe their political calculation failed them. Although they came under another umbrella, I would have expected them, since they do not want any union with the Igbos, to work with Nnamdi Kanu to bring the failed state to its size quickly. But instead, they came to rescue the country from impending collapse with lawlessness as their chorus. Now, If these Arewa Youths see Nnamdi Kanu as lawless, what do they call disobedience to the court order? Lawlessness? Then Buhari, their brother, who disobeyed several court orders to release Nnamdi Kanu is swimming in lawlessness. Buhari who neglected the provisions of the law on prejudicial statements scored high on lawlessness. What about their open nepotism by telling the Igbos to quit the north for them to claim their hard-earned properties? Is it not the highest degree of lawlessness? Have they ever called on any other nationality residing in the north to leave? Of cause not. “The level of insecurity and youth agitations calls for concern by all well meaning Nigerians. These threats have turned our country in a place of uncertainty and now a laughing stock within the international communities. Nigerians now live in a state of fear and trauma for the fear of the unknown." Then I want to ask them, what greater uncertainty do Nigerians feel than the one the people that are at the mercy of Fulani Herdsmen face every day? The barbaric acts of their brothers, Fulani Herdsmen, are they not enough to scatter the country? Are the farmers in their farms not uncertain whether they would go home alive? The fear of the known? Is killing villagers and farmers before their time not making insecurity high? What about the trauma associated with such barbarism? “Any nation or institution which cannot abide by its own laws, rules and regulations is bound to fail and not worthy of being a nation or institution. It is on record that a Federal High Court sitting in Abuja presided by Honourable Justice Binta Nyako on the 28th April 2017, granted bail to one Mr. Nnamdi Kanu on health grounds with about 12 conditions attached to his Bail." Then I want to ask these unreasonable youths: which country of the world has neglected its laws and the fundamental human rights of its citizens to such extent as was done to Nnamdi Kanu as regards his stringent bail conditions? With those stringent bail conditions, is Nigeria, as an already failed and expired state, not a laughingstock before the comity of nations? Or was Buhari mending the image of the battered Nigerian state when he flouted several court orders releasing Nnamdi Kanu and others? How many citizens are being held against court orders? How much worse does that act of Buhari paint their much-cherished contraption? The unknown health state of their Commander-in-Chief, President Muhamadu Buhari, is it not the worst source of ridicule for their country among the nations? Which country that practises democracy and transparency do they see that happen? Don't they think that the insincerity of Buhari and his government is doing more harm than good? The Arewa youths should very well make their research concerning realities before coming out their gibberish speeches.